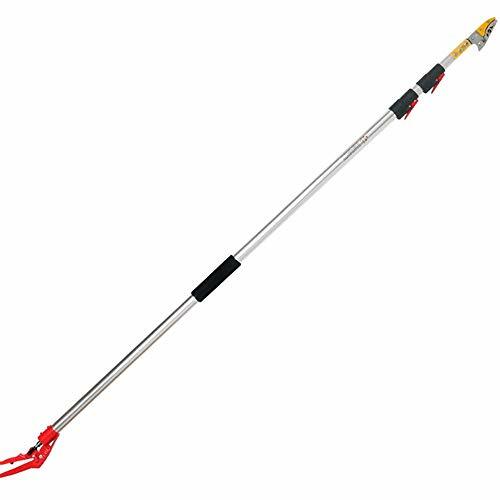 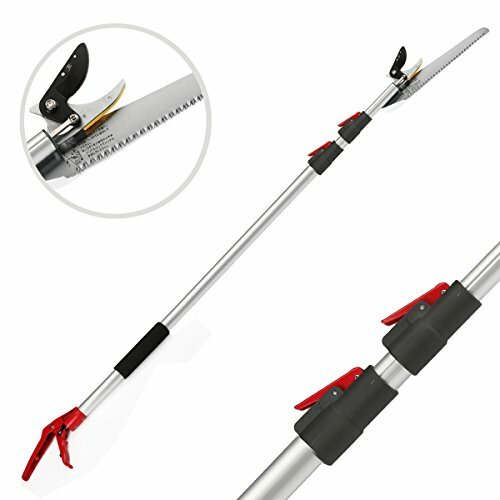 -MAIN FEATURES : Rope-less, chain-free, portable and long reach desig -TELESCOPING: Three section telescoping function extends up to maximum 10 ft while keeping shorter pole length of 4.6 ft under contracting conditions. 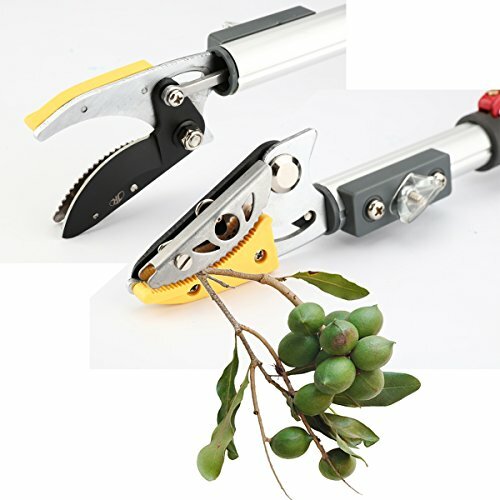 -CUT & HOLD: Hold fruits after cutting until released. 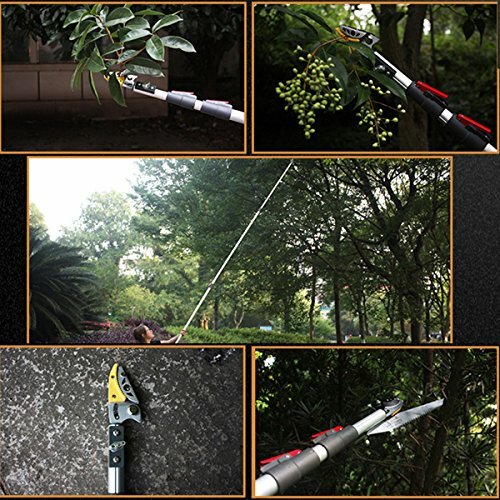 -EXTRA BONUS : Extra replacement saw blade is provided for cutting larger diameter branches. 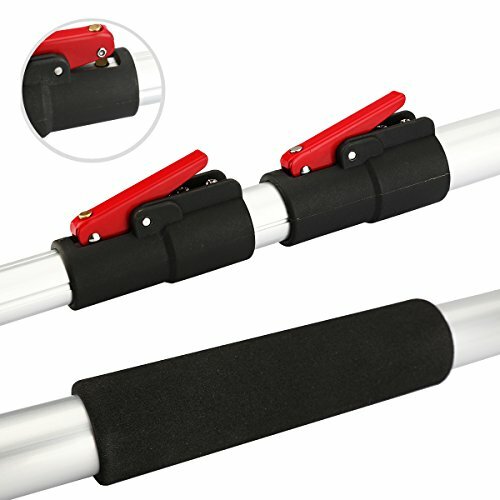 -SAFTY MEASURES: Safety locks in place for the holder and "plug in" holes.